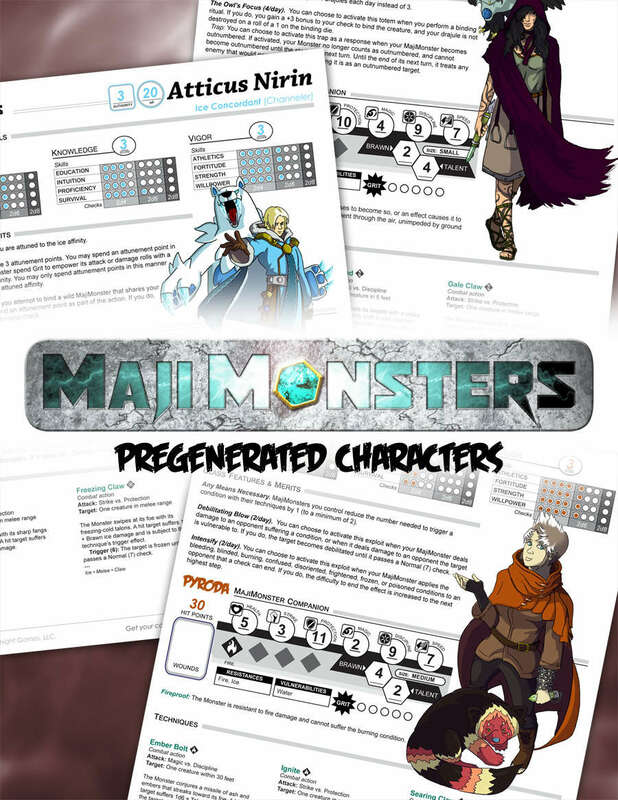 This product has six pregenerated characters for MajiMonsters, one for each binder class. These characters span the world, drawing inspiraction from NPCs and iconic binders created for various MajiMonsters products. It's up to you to customize these characters, or sort out to your players for a quick game session. Includes a pregenerated alchemist, concordant, knight, ranger, scoundrel, and scholar. Each binder has a level 3 MajiMonster each with 3 techniques. Further customization is left to the GM and players. Includes combined document and files separated by binder class. Back pages of each character has an at-a-glance rules rundown.